If you’ve never taken a cruise holiday before, maybe it’s time to consider trying something new. Cruise holidays are definitely not “one size fits all”. But with such a variety of ships, destinations and cruise durations on offer, you’re bound to find an option to suit your budget and style. Here are a few factors to consider when deciding if, and how, to cruise. Imagine waking in the morning to see the skyline of Venice sliding past your window, or sipping a cocktail as you watch the sun sink over Antarctic ice floes: there has never been a wider choice in cruise destinations. Nowadays you’ll find cruises in just about every ocean and sea on planet earth, as well as river cruises through cities and landscapes. Bigger ships usually offer more on-board facilities and a broader range of ports to choose from, but smaller ships can visit ports that the larger ships have to avoid, such as Capri and St Bart’s. Currently the largest cruise ship in the world is Royal Caribbean’s Harmony of the Seas. She was launched in 2016, can accommodate up to 5,479 guests and offers, among other things, your choice of 20 dining venues, an ice rink and a water slide complex. At the other end of the scale, Ritz-Carlton has just announced its entry into the cruise market with the first of its luxurious super-yacht style ships set to launch late in 2019. In doing so, it’s joining the ever-increasing ranks of boutique-style cruise lines. Whether you prefer one option over the other (or somewhere in between), there is literally something to suit every taste and budget. One of the great things about cruising is that they make it easy to experience destinations that you might otherwise be hesitant to visit: if you’ve always dreamed of seeing the sparsely-populated expanse of the Kimberley region, the wildlife of Siberia or the volcanoes and beaches of Papua New Guinea, your personal travel manager can find a cruise to fit. Once aboard your ship, you can unpack and settle in for the duration of your holiday – no need to worry about packing up your possessions every couple of days to move on to the next destination: instead, you’ll simply wake up in a new port. What other holiday option combines your transport, accommodation, meals, sightseeing, shopping and entertainment into one neat package where the view changes every day (and often every hour)? From the youngest members of the family to the oldest, a cruise holiday is a great way to ensure that everyone is happy. If you’re travelling with kids, you won’t need to worry about what they’re going to eat, as the classic cruise ship buffet offers more than enough to tempt even the pickiest eaters, plus there are often kids clubs, babysitters and plenty of entertainment options to keep your little ones occupied for hours on end… which of course means plenty of opportunities for the adults to be entertained or just relax too. 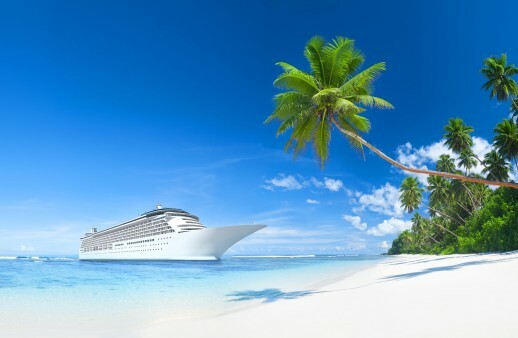 There are cruise options to suit every budget and every age group: whether you choose to board a working freighter in Tahiti for a two-week voyage to the Marquesas Islands or a luxury small ship for an exploration of the smaller ports of the Adriatic coastline; whether your interest lies in experiencing the food and wine of the Mediterranean, the history of ancient Greece and Turkey, history, the art and culture of northern Europe and Russia or the golf courses of the Caribbean: there are even cruises targeting singles who are looking for love. Whatever your interest, your personal travel manager can help you find a cruise to suit. If you’re still not certain as to whether a cruise holiday is right for you or you’re ready to take the plunge, have a chat with your personal travel manager; they can help you work through the options and find a holiday that’s a great fit for you.